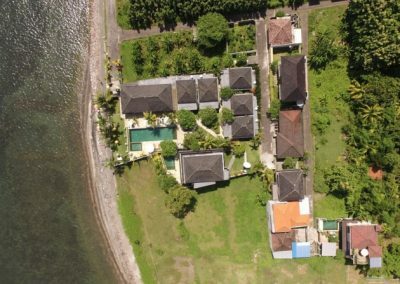 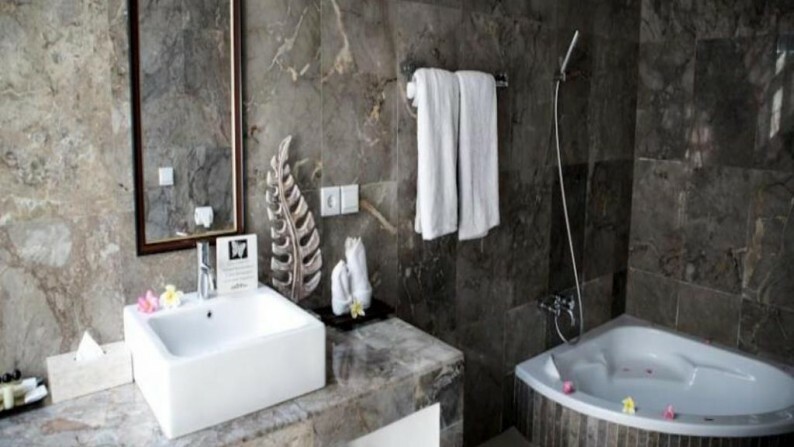 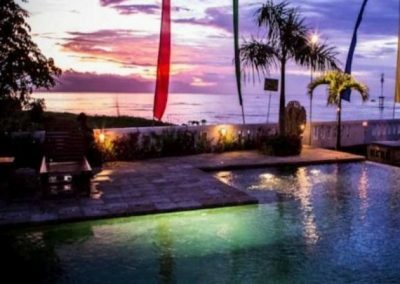 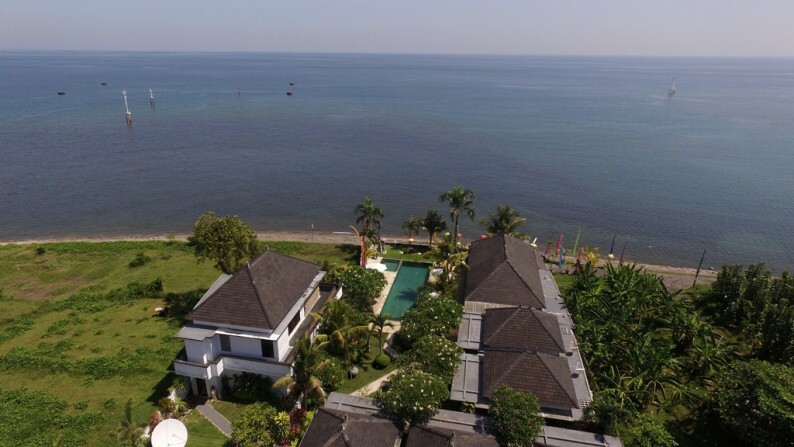 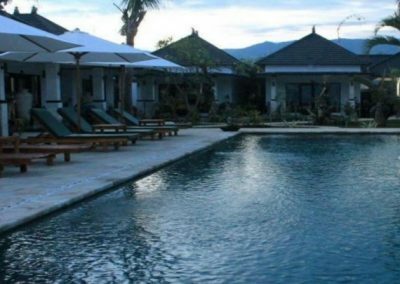 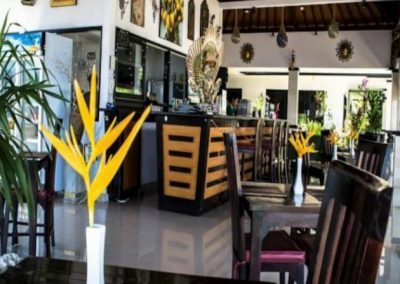 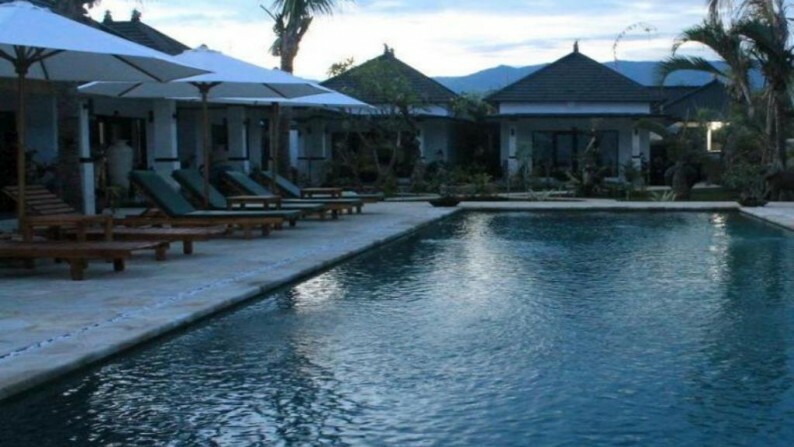 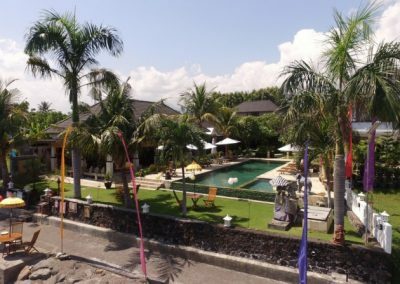 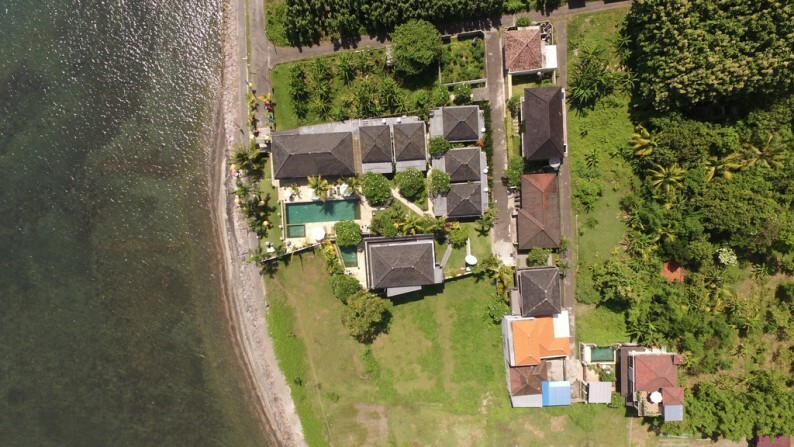 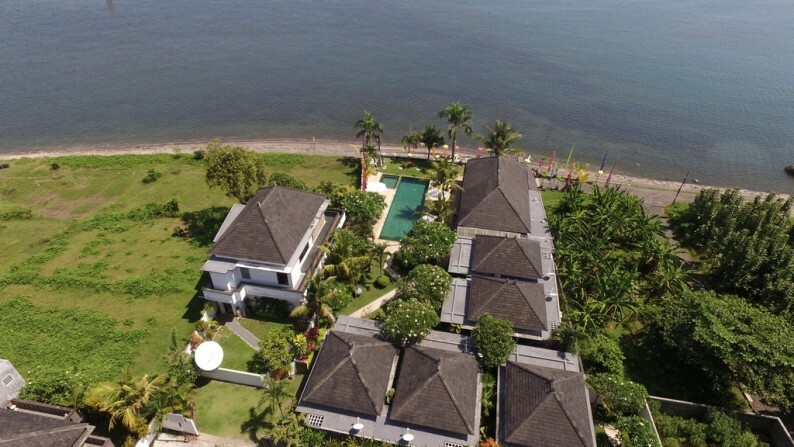 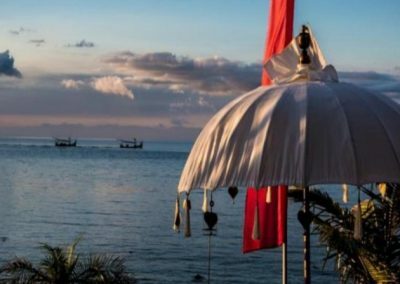 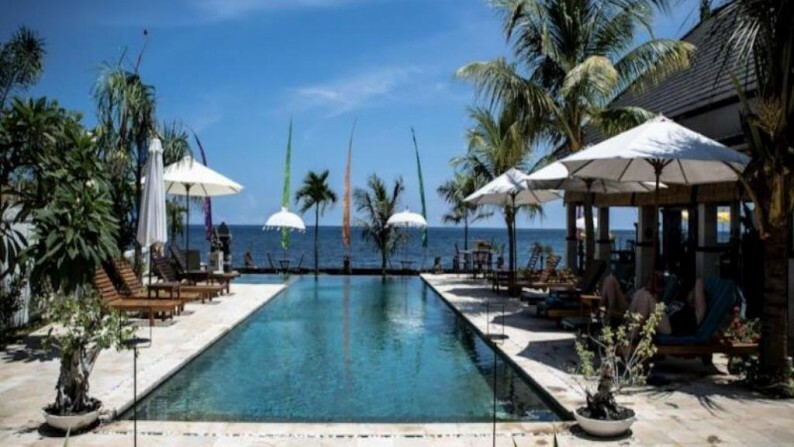 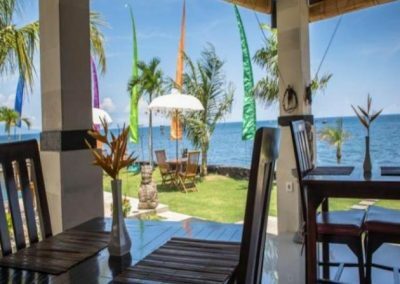 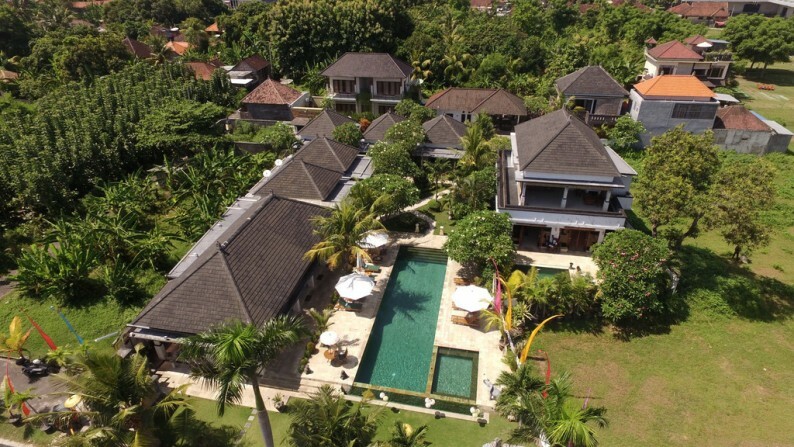 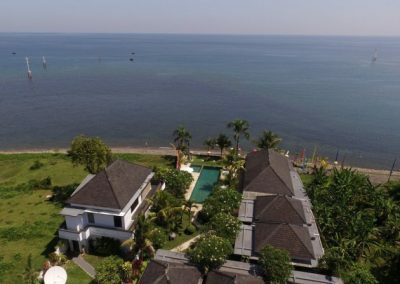 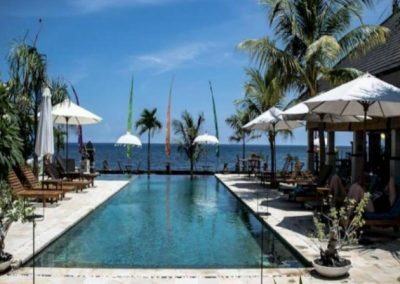 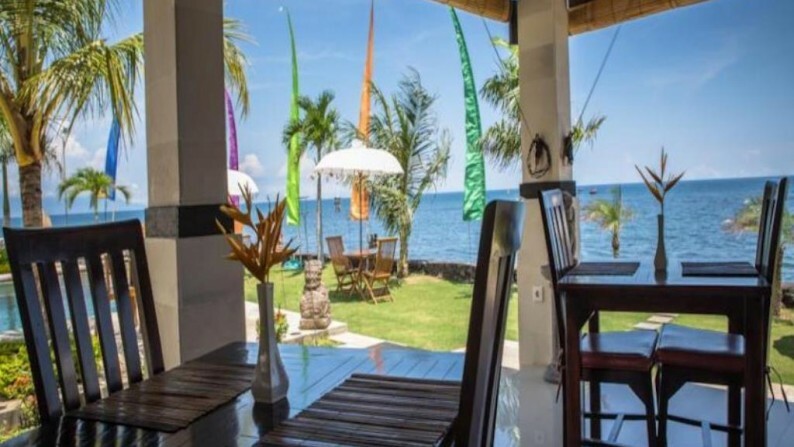 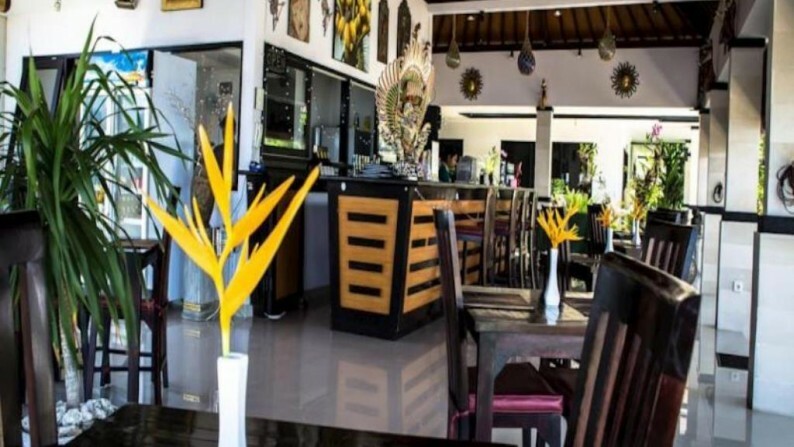 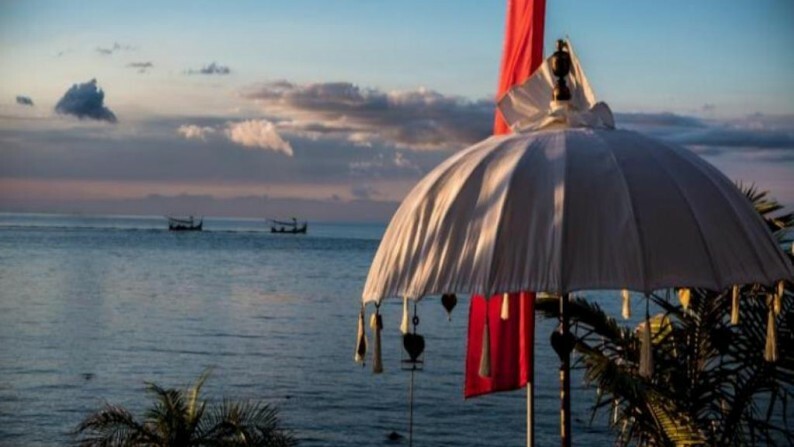 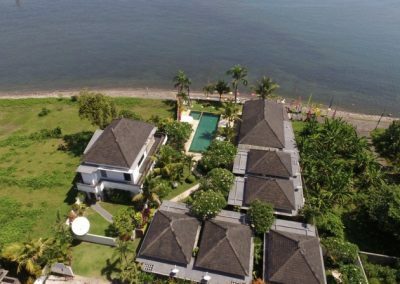 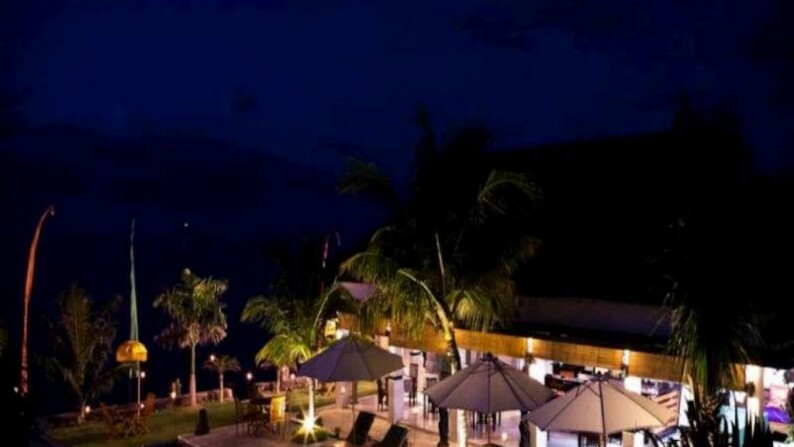 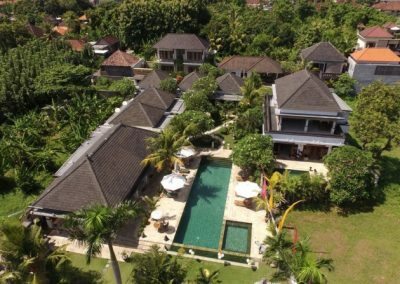 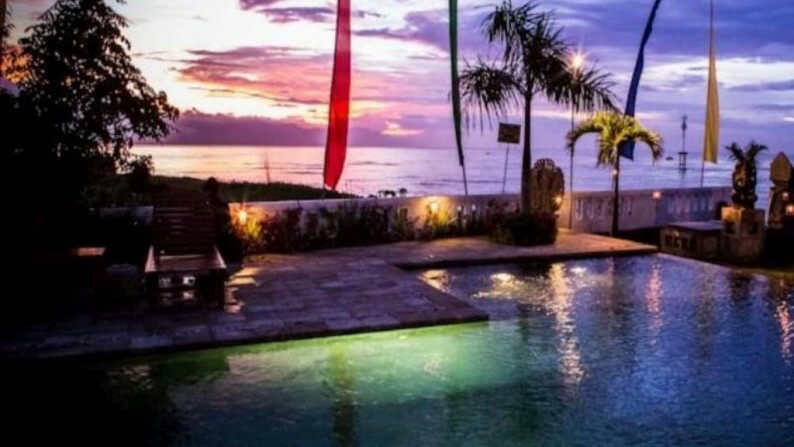 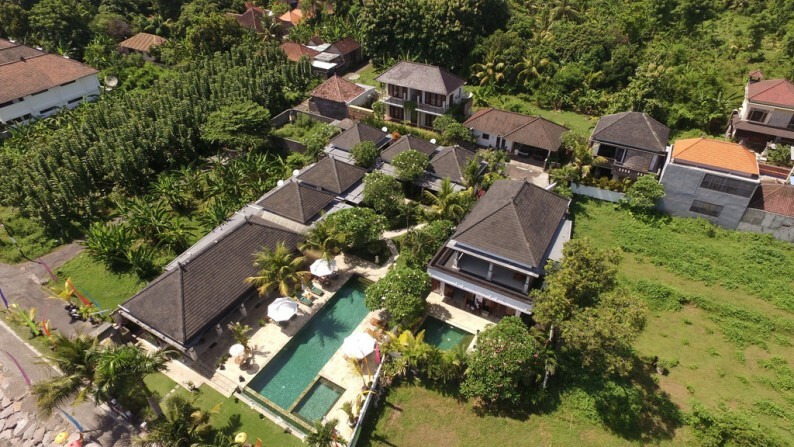 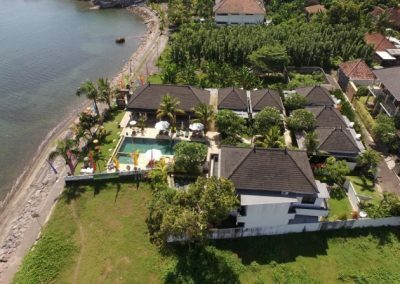 Beachfront hotel for sale near Lovina in an exceptional state. 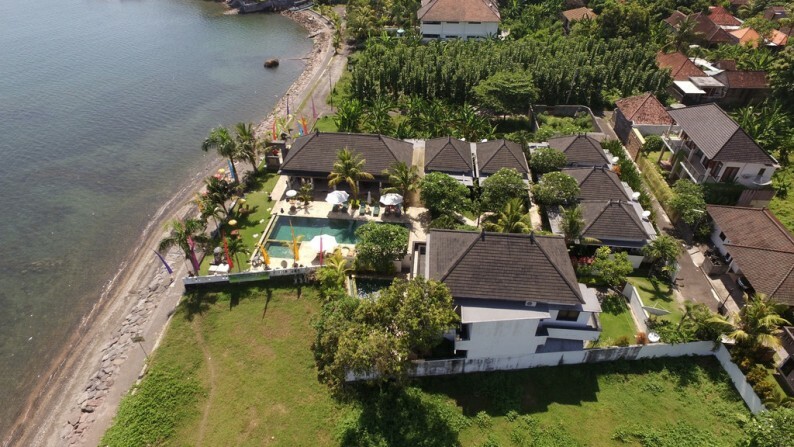 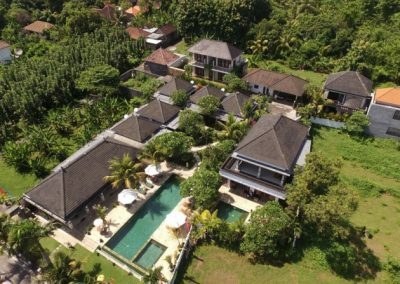 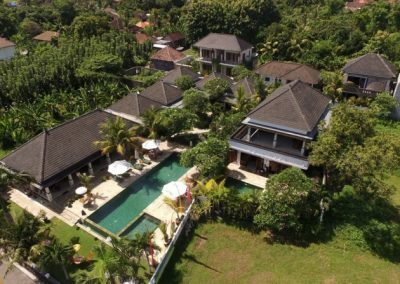 On 2000 M2 land this hotel totals 800 M2 living area including two large swimming pools, five individual villas, one large single floor villa, two large 2 floor villas, a restaurant and reception, all with great ocean views. 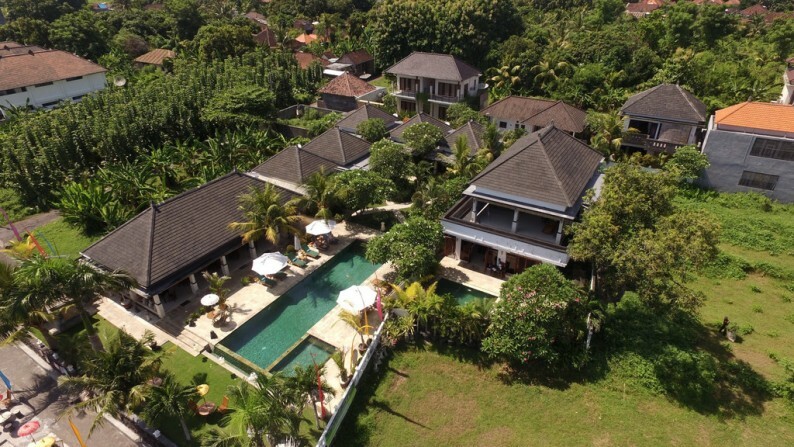 A lush tropical garden gives a peaceful outdoor atmosphere. 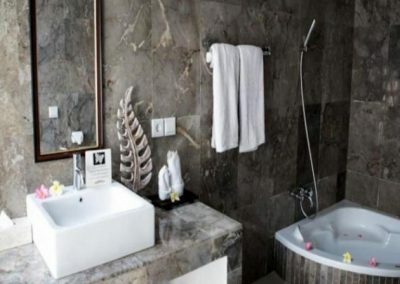 The hotels will remain open until the key handover. 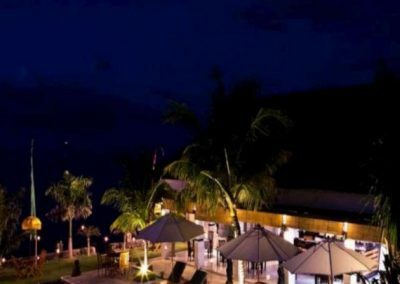 All licenses in order. 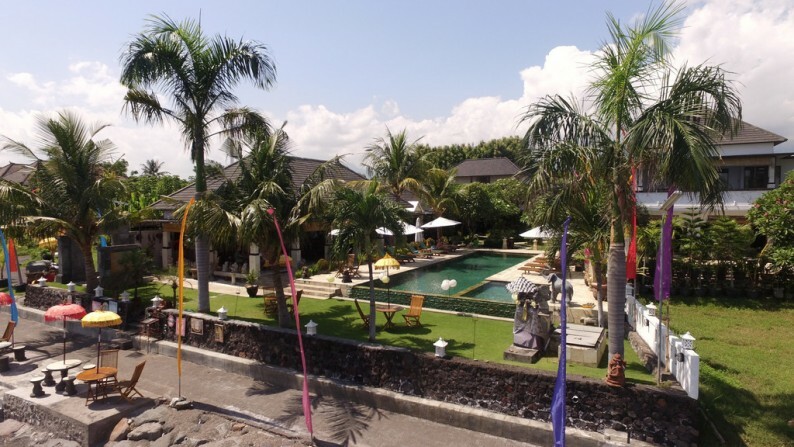 Come find out what makes Northern Bali our paradise.